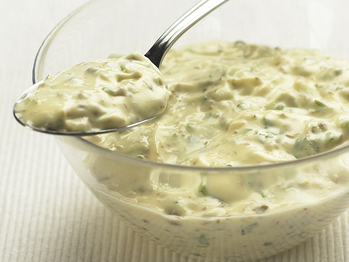 A quality Tartar Sauce Recipe like this one is used widely in the Pacific Northwest. Tartar sauce is so popular in the area in which I live (Washington State) that we often order it with French fries, as well as fish and chips, fish entrees and other seafood, chicken, and as a hamburger spread. 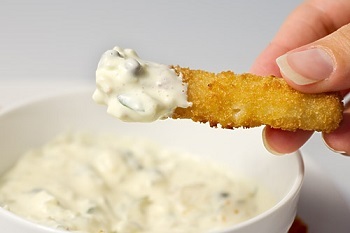 Tartar sauce is a thick white sauce of lumpy consistency made from mayonnaise and finely chopped pickles, capers, onions (or chives), and fresh parsley. Then, in the interest of culinary experimentation, vinegar, ketchup, cocktail sauce, mustard, Dijon mustard and horseradish are sometimes added. Preparation time: 10 minutes. Makes 2 1/2 cups. You can serve this sauce in individual portion dishes or in a larger serving dish so people can spoon out the amount desired onto their own plates. 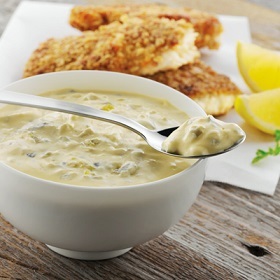 Enjoy your tartar sauce and the company of those you share it with!